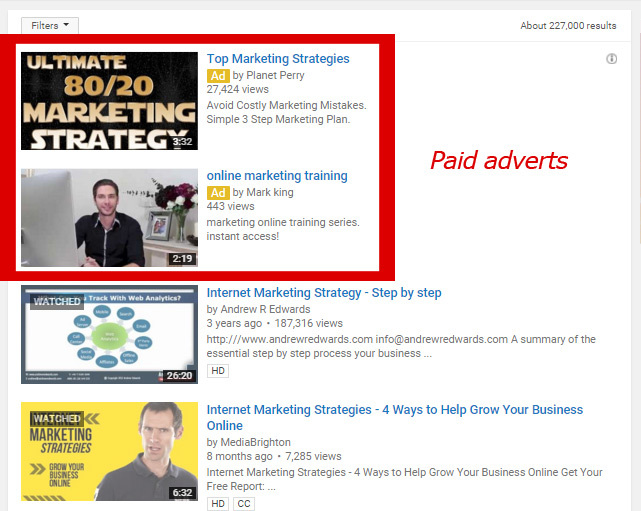 After publishing a video I write a blog post outlining the main points covered by the video. I embed the YouTube video into the post, add a hyperlink (linking back to the YouTube page) and some screen grabs. This means that more people find the video through your blog post and you generate a link to the video page which helps its rankings. Remember to ask people to comment like and share your video which will help to further promote it. You can add social sharing buttons to make it easy for people to share on Linked in, Facebook and Google + etc. As part of my broadcasting system I create a Facebook, Linked in and Google + post. I either link them to the YouTube video directly or to the blog post. I encourage people to share the content if they like it and this helps to get more views and create more social shares. 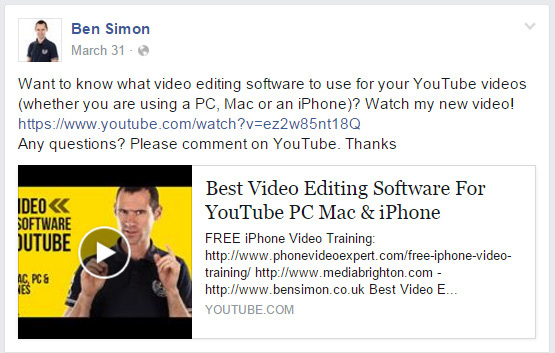 These social shares are taken into consideration when Google and YouTube rank their videos. The more a video has been embedded into a blog or shared on social media the better the video so the higher it will rank. 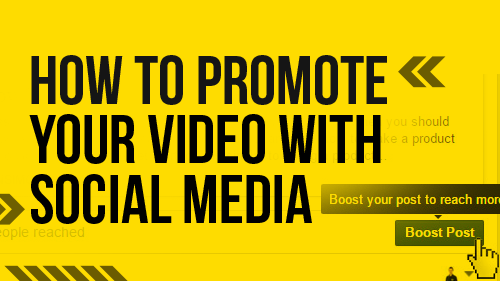 Another way to promote your video with social media is by using the Boost post function on your Facebook post. This means you pay to advertise the post but it will get your video in front of many more people with a surge of views early on (helping its overall ranking). Just click the “Boost Post” button in the bottom right of the post and set you daily budget and duration. You can edit your audience for better targeting. Once you’ve submitted your video you can post the link and a short description on social networking & bookmarking sites like Twitter. 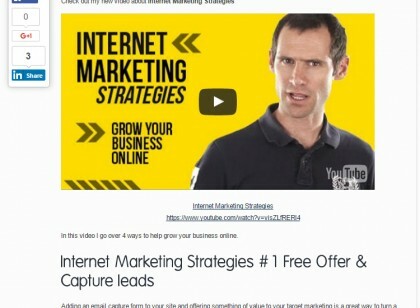 This will help to get your video pages and posts indexed quickly and add some valuable backlinks. Send out links to your new videos to your email marketing list to instantly get a bunch of views as you launch the video. 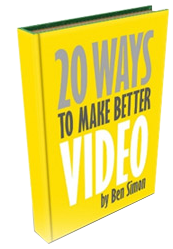 This can help the ranking of the video in the search engine making it look popular from day one. You can pay to have your YouTube video appear at the top of the search results which will ensure you get those valuable early views. I have heard that YouTube reward people who use their advertising platform by ranking their videos higher even after the ones paid for are terminated. So this is a handy little trick to experiment with! Start making great videos NOW! Get it NOW because it’s FREE! The planet's number 1 autoblogging solutions.